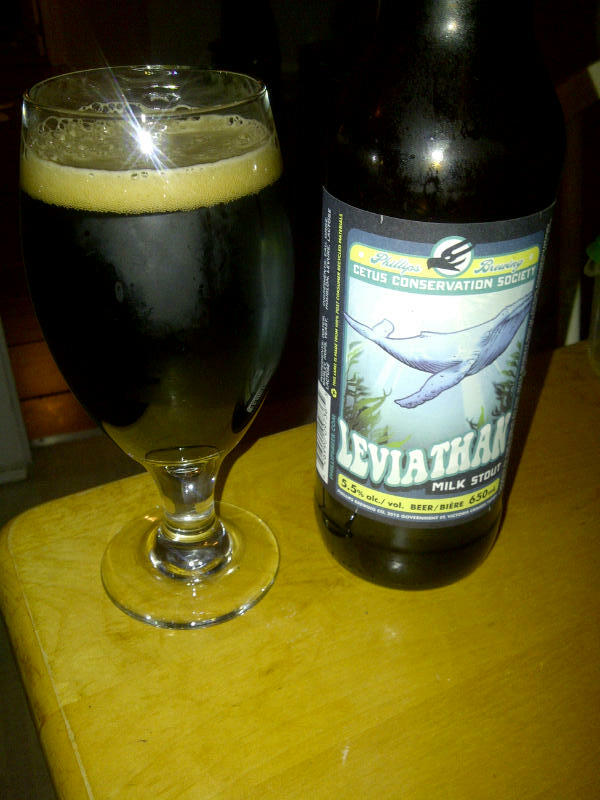 From Phillips Brewing out of Victoria BC’s comes the “Leviathan Milk Stout”. This beer pours a deep black with a brown head. The aroma is of both coffee and milk. The flavour consists of sweet milk, coffee and mild chocolate. This is a very smooth stout! The alcohol content of this beer is 5.5%. This milk stout is not a world beater but it is good none the less. This entry was posted in Stout and tagged bc, beer, benefit brew, canada, chocolate, coffee, lactose, milk, milk stout, phillips brewing, stout, victoria.